Initially built as a Nikko Hotel in 1990, The Grand Hyatt Buckhead has a long history of renovations in becoming the hotel it is today. Brintons' senior designer worked closely with Design One Partnership to develop bespoke hand tufted rugs inspired by the illustrations featured in the award winning Timorous Beasties collection. 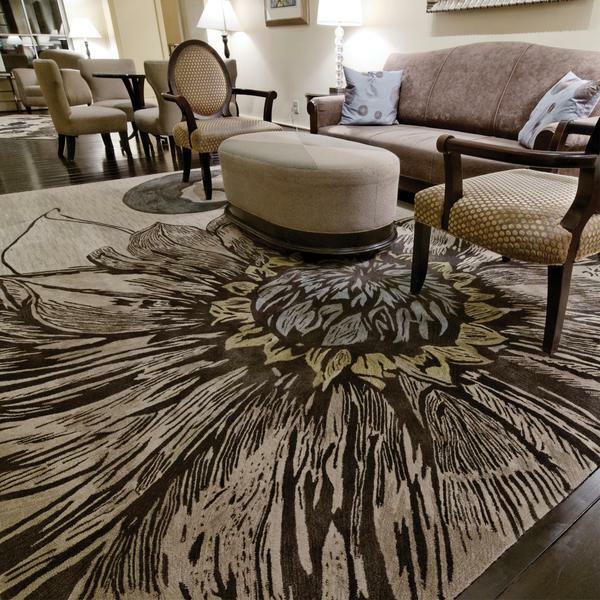 Soft teals and neutrals bring a feeling of elegance and warmth to the space complimenting the rich walnut flooring. 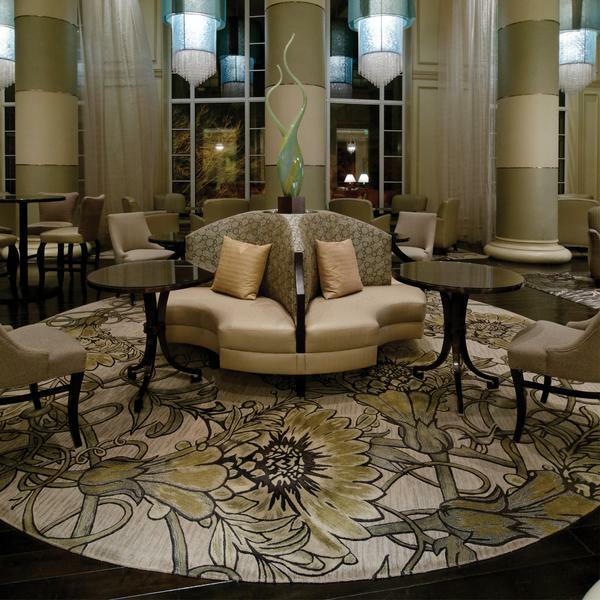 Each rug was created to give each space its own identity whilst remaining cohesive with the entire lobby area. 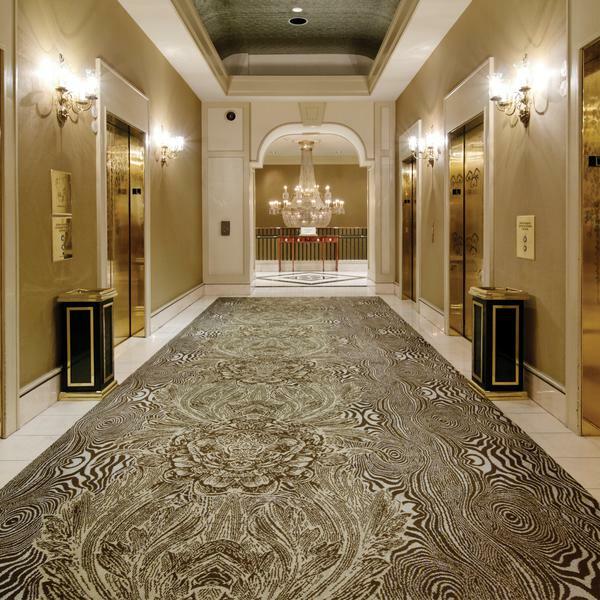 Axminster inset rugs were also developed for the elevator lobby and reception areas complimenting the hand tufted rugs provided.